If I type "\*.vhdx" into the field, I can save it, but if I scan a test file manually, the log file still shows: "Number of scanned objects: 1", so the exclusion doesn't work. Detail: if I import a txt file which contains correect and incorrect folder exclusion, ESMC says: "Not all input data have been imported". And it imports the list partially, but doesn't show the not importable item(s). It would be nice, if ESMC show a message with the incorrect, not importable items. c:\test*\* doesn't work, "invalid path"
%systemroot%\System32\Vmms.exe doesn't accept, "Invalid value"
I was able to add this path to Firewall rule. Where are you adding this rules? @ludolf I have reported those requirements to the EP development team, as they are EP related. ESMC just visualizes policy controls, made for Endpoint. But it´s OK, that you have reported it here, as ESMC s the primary interface for controlling Endpoints. Detail: RHEL8 is coming. 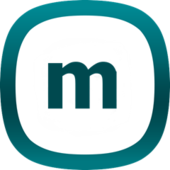 ESMC should try to support MariaDB, and not lock itself to some old mysql 5.6 version. it is hard to install old mysql. Description: Checkbox 'Automaticlly Reboot when needed' default set to disabled. / off. Detail: Currently we are executing tasks with no need for a reboot and sometimes we do. But since we also execute tasks on our servers, leaving the default setting 'checked' being quite dangerous. See attatchment. This is the checkbox we would like to be disabled on default. Description: Create dynamic groups for the following problem: "macOS is preventing ESET Security Product from accessing some folders." Detail: I would like to create a dynamic group for computers with the following problem, but I can't select this problem at the new template creation, even though it's a reported problem, it's not in the list: "macOS is preventing ESET Security Product from accessing some folders." @SysEPr Thank you for pointing this out. I have created a development task for both adding this one specific problem, but also having those problems in an update-able fashion, meaning we would be able to dynamically update those capabilities when a new client with a new error is being released. 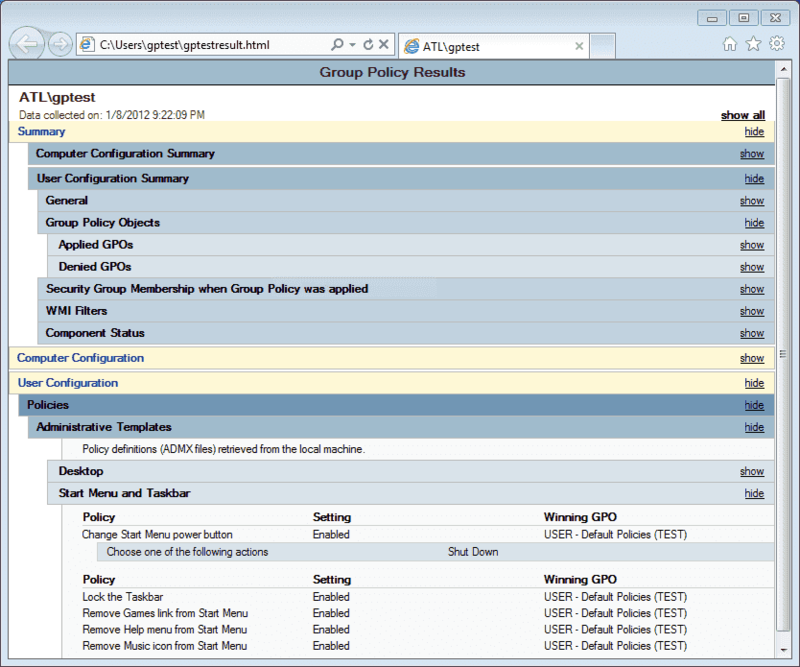 Detail: The ability in SMC/Endpoint Security to see which policy is responsible for which setting in effect on the computer. Basically something like a GPRESULT report available for diagnosing Active Directory Group Policy Objects. Detail: Our admins have limited permission sets on ESMC, meaning they don't have "write" access for the "Software install" and "Run command" client tasks, only read and use. We have software installation tasks pre created, that install the ESET Endpoint security. If they select clients, they can run these tasks on these clients (via the "Run task..." command), but when they try to use it from the "Last used tasks" context menu, it's grayed out, or when they try to rerun a task also from the context menu on the device details page under task executions, they get a "Failed to run task: no access" message. It doesn't make sense, because they can just select "Run task...", and run it that way on the clients, and it runs perfectly, however, it's way more steps that could be jut one click. The same permission set on ERA used to give the same error message on the device details page, but it used to work perfectly from the context menu under the last used tasks, which made sense, and was less annoying. On ESMC I think the expected way it should work is that both should work (they should be able to create triggers, since that's what those features do), they just shouldn't be able to create an actual new task "Software install" task. Detail: We would like to create dynamic groups where they can't be part of that group until they are part of another group. Let's say they have an outdated agent, and until that is not resolved (a.k.a they are part of that dynamic group), they can't be part of a different dynamic group that says that they have to be not part of that other one. You can create nested dynamic groups, ie. dynamic groups under another dynamic group. But that means its part of it if it's part of the one above, but how do you achieve a NOT scenario? With regards to the first case, we will investigate this behavior. It looks to me more like a bug in the implementation. We will check this internally. We are planning to introduce more advanced IFTTT (If this then that) logic, into ESMC, however it will not happen in ESMC 7.1 for sure. But it´s on the roadmap for the future versions, that will allow you to achieve better automation, and such advanced conditions. Detail: When two factor is enabled and you try to log in, you are prompted for the code. The field is highlighted in red, but the focus is not there - you have to first click it, then you can enter the code. It would be nice if we could just start typing the 2FA code in. Also, the highlight kinda suggests that the focus is there - but it's not, when you click it, it becomes a blue highlight. 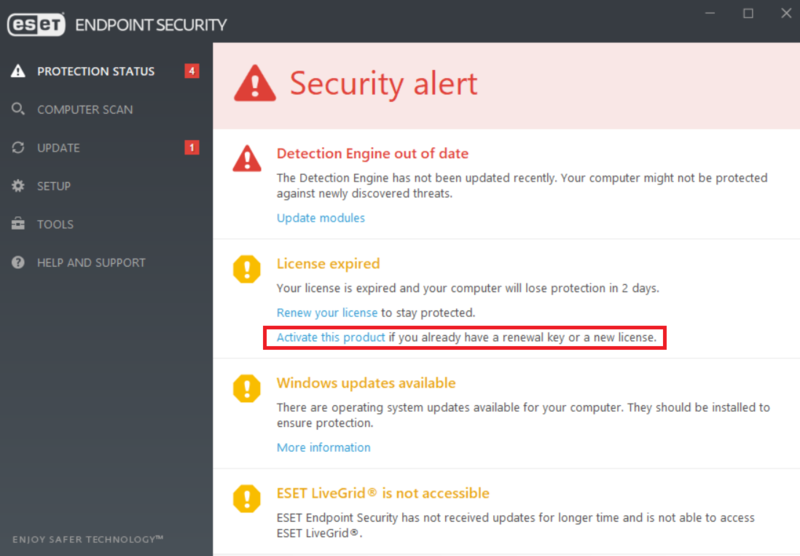 Detail: I can't find option in ESMC for endpoint automatic license activation after renewal. I only find option on client "Activate this product if you already have a renewal key or a new license." It would be most welcome to have this feature automated. For example, when license is synced with EBA account, automatic activation of endpoint would be triggered either by endpoint like with updates, if you can't access activation server via proxy, then go directly to ESET servers. On my test system I had to create client task to send activation on test client to renew license. Maybe I had to wait a little bit more time before client receives new license? @bbahes Upon renewal (if the renewal was done within the expiration period), it should update the license status automatically. Do you change also the license key during renewal, or just extend the expiration of the same license (did the license key change)? If not, it indicates a problem in either your setup / our licensing functionality, and should be looked at from the technical support perspective. @SysEPr With regards to the live installer - noted, our devs confirms that, but it might happen that this won´t be done (as it´s really a niche scenario). With regards to the focus on 2FA, I will let it report to our devs, so it´s reported. I do agree and fully support it. License key and Public ID are same as last year. It should be noted that this is test system and both ESMC and client are in virtual machines which where in saved state. It could be that ESMC did not sync with EBA. For me, confirmation that this is automatic process is solution. I would like to see a column on the computers page where you can see the current or last login user. On remote administrator 5 there was 3 custom attributes that you could select, one was username, then you could add this columns to the list. It helps a lot when you are looking for the computername where this users is logged in. I can not see that on Management Center v7.